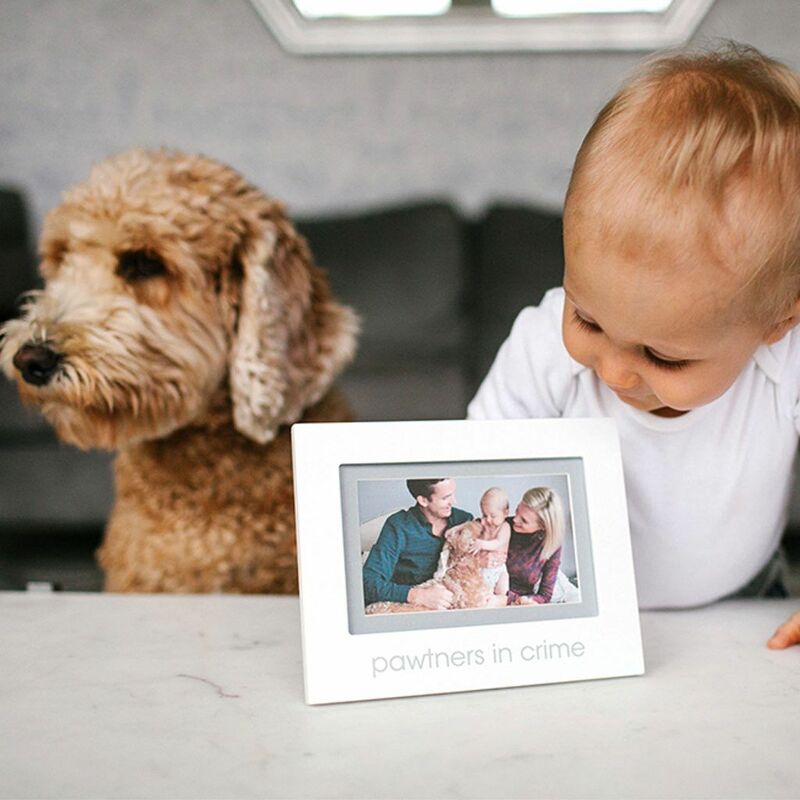 Pearhead "Pawtners in Crime" sentiment frame makes it simple to proudly display an adorable photograph of your little angel and their best fur friend for all to see. 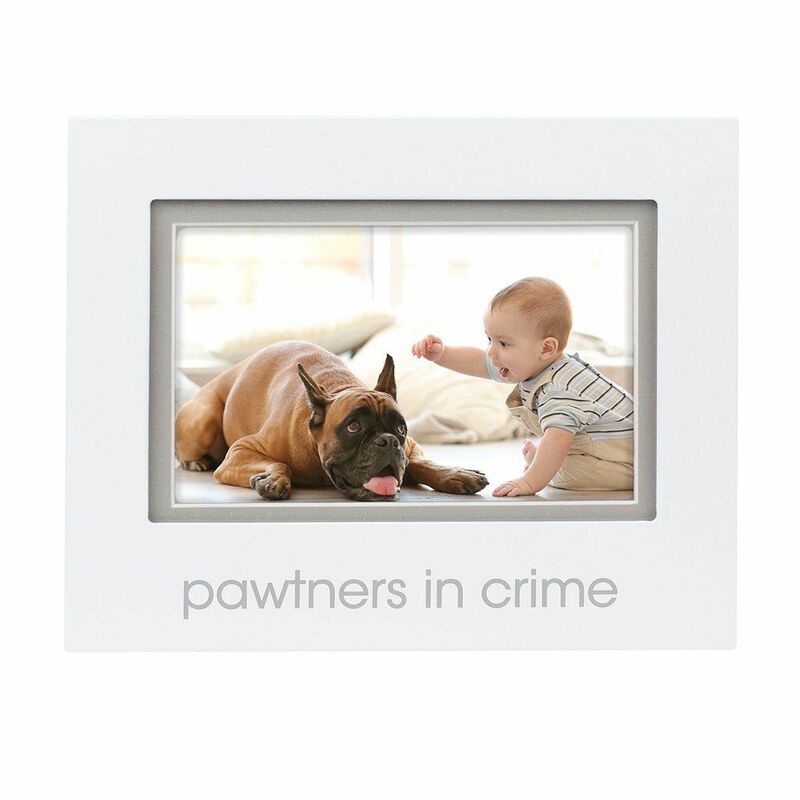 This photo frame includes an opening for a snapshot and a humorous sentiment of "Pawtners in Crime" in easy-to-read lettering. 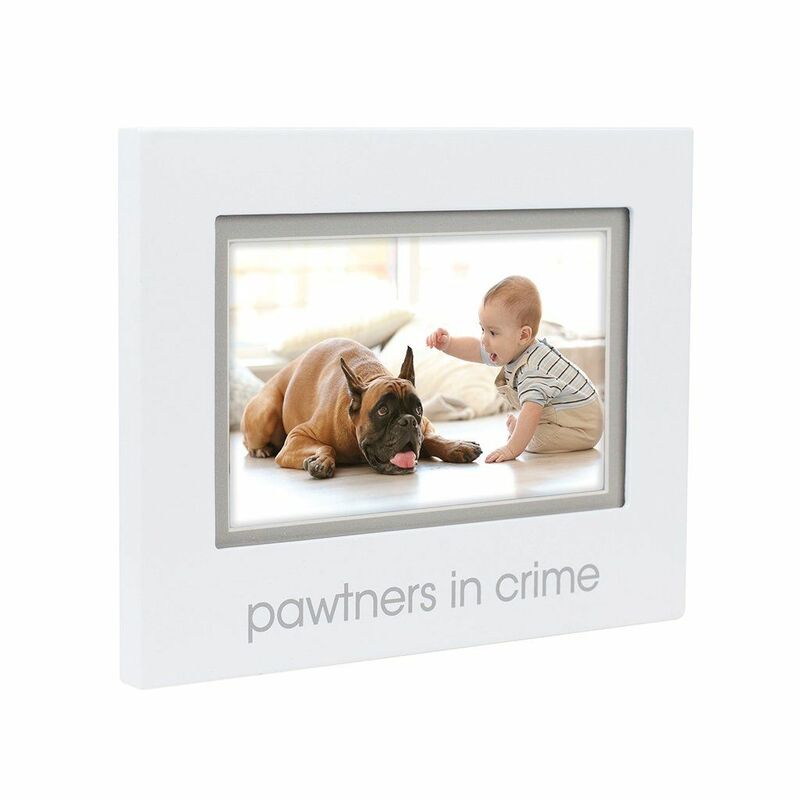 This photo frame also features a sturdy frame with a crisp finish that will last for years to come. Product dimensions: 7.35" W x 5.75" H x 0.5" D; Photo insert: 4" x 6"